A treat for adventure seekers, Hike n Fly brings you an experience of a life time – Rappelling in the clouds is now a possibility at Lonavala. A certified mountaineer, Shekhar, who loves hiking and adventure sports, organises various trekking events around Pune with his team. 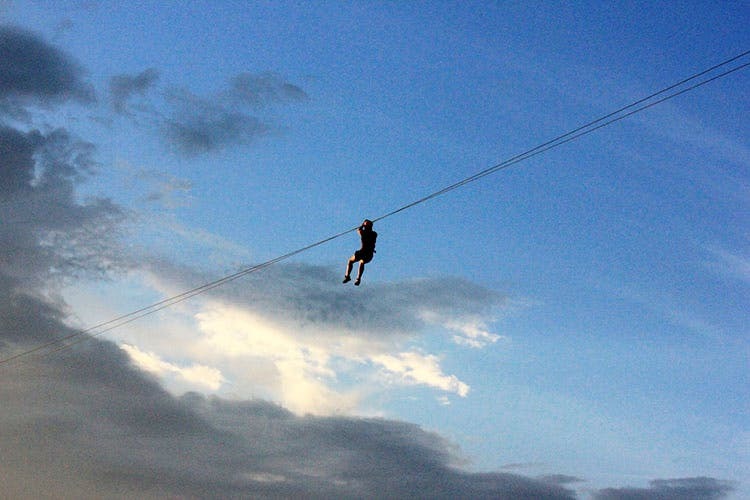 His most outstanding adventure sport offered is the ziplining at about 800 feet above ground level, from the Duke‘s Nose till the Dutchess’ Nose in Lonavala, while breaking through a thick cover of monsoon clouds all around you. The safety measures are taken care of by his team, and the activity happens depending on the weather conditions. These adventure treks organised by Shekhar are offered at INR 500 onwards. Call up Hike n Fly now and go on that adrenaline pumping adventure. For daily update, follow them on Instagram.